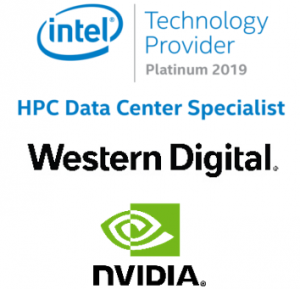 As a high performance solutions manufacturer, 2CRSI is working together with a wide partner network to provide solutions for HPC, AI, Deep Learning, Storage and Cloud Computing. Customer centric, 2CRSI relies on high qualified partners to develop and deliver optimised and tailor-made solutions. 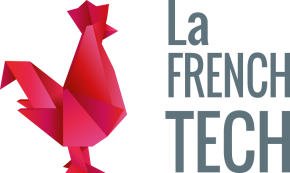 2CRSI deals with major IT contractors and benefits from the Intel Platinium Technology Provider status in France. 2CRSI has been rewarded by Western Digital as « Best Customer of the year 2018 in Platforms » which confirms the strong partnership between the two companies. To stay ahead and innovative, 2CRSI collaborates tightly with technology partners offering ultra-innovative concepts. 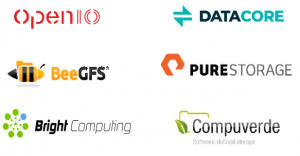 2CRSI surrounds itself with the best software partners. 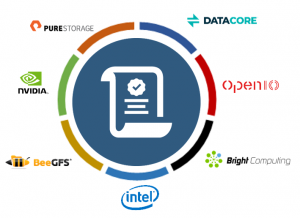 Whether for storage or HPC solutions, 2CRSI relies on the skills of many partners to provide complete solutions to ts customers. To stay ahead and innovative, 2CRSI is surrounded by partners offering ultra-innovative concepts to complete its solutions. 2CRSI confirms its expertise through a wide number of certifications. Our team is highly qualified to provide our clients the best solutions. 2CRSI is also certified Intel HPC Data Center Specialist. 2CRSI is involved in several communities and associtions. We recently joined the Open Compute Project community as Platinum members.